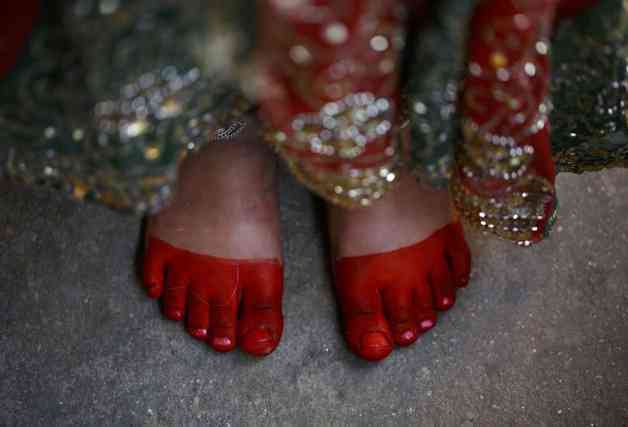 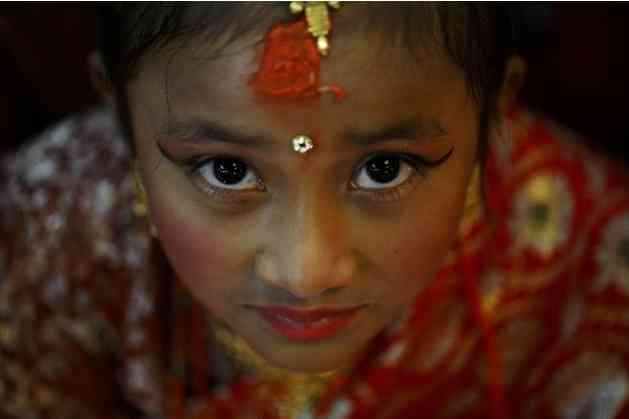 In the Ihi ceremony in Nepal, girls are married to Bel, the fruit of a wood-apple tree, before reaching puberty. 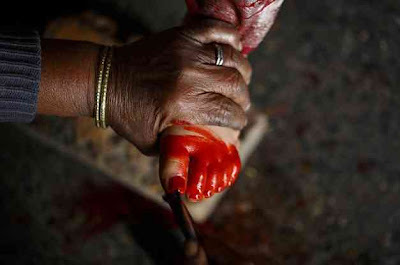 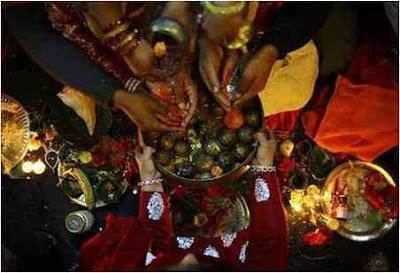 Ihi is a two-day ceremony which begins with purification rituals and ends with "Kanyadan" (giving away the virgin) of the girl by her father. 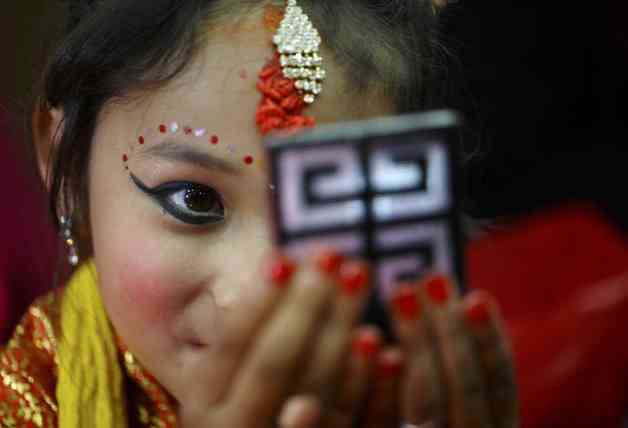 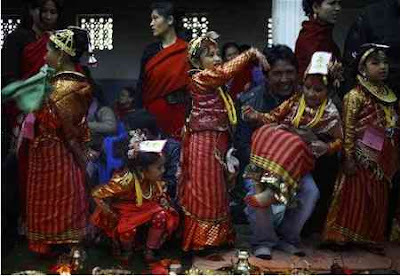 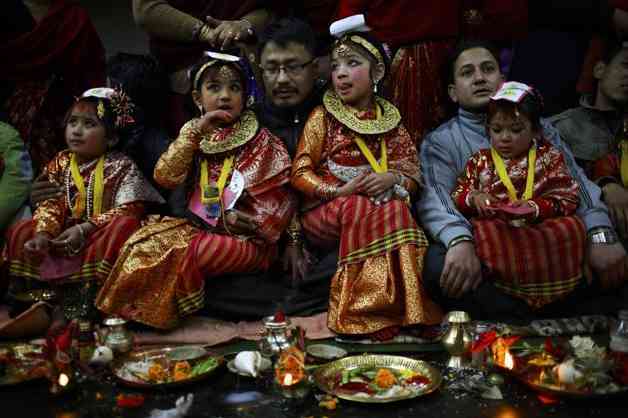 A Newar girl will be married thrice in her life, first to Bel, a second time with the sun in another ritual, and lastly with her future husband later in life. 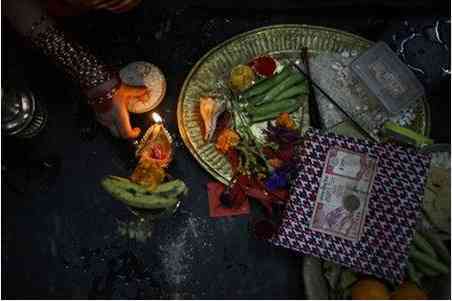 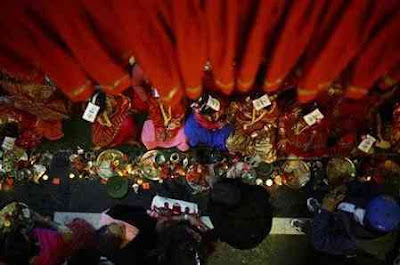 A look at some of the rituals.